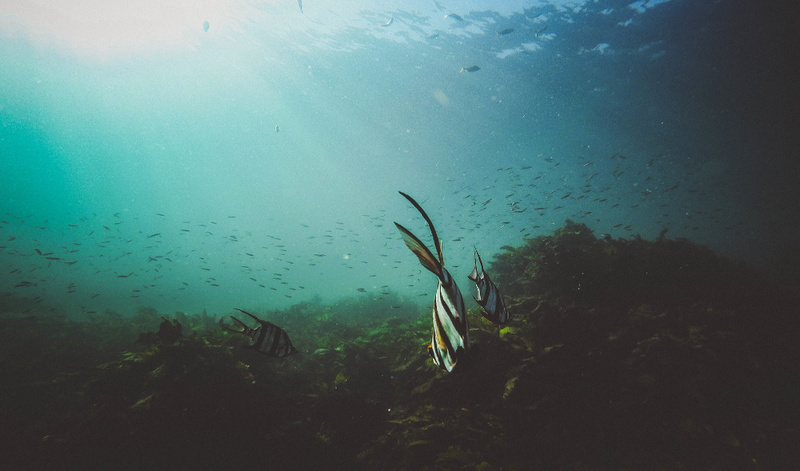 Home » Who cares about eelgrass? 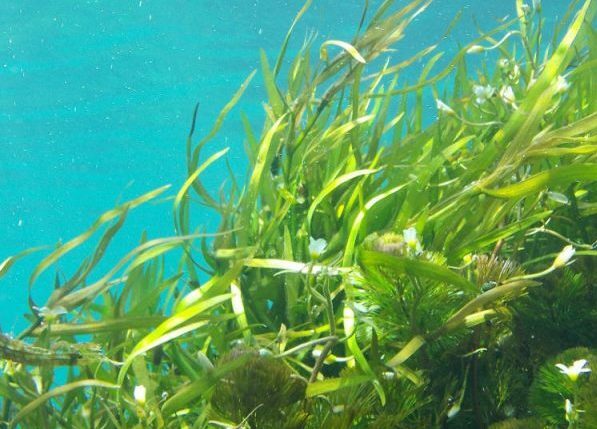 This blog article from Untamed Science takes a look at the threats to aquatic plants, and restoration efforts underway to save Zostera marina, or eelgrass. For a little underwater plant, eelgrass does a whole lot of good. These submerged meadows anchor the mud and silt to the bottom, keeping the surrounding waters clear. That means a whole host of aquatic life can thrive there. But problems caused by too many nutrients in the water and other manmade issues have recently caused a decline in the size of eelgrass beds. Eelgrass, sometimes called subaquatic vegetation (SAV), is about a quarter inch wide (.63cm) and up to three feet (91cm) long. It grows in water that can be about three to nine feet deep (1m to 3m). Eelgrass is always submerged, and its roots, called rhizomes, anchor the plant to the bottom. Like many land-based grasses, eelgrass multiplies by producing hundreds of seeds in the spring and summer, which float in the current before gradually being carried to the bottom. Eelgrass beds play a variety of roles in the aquatic ecosystem. For some animals, the beds are a source of food. For others, the dense vegetation forms a safe place for newly hatched life to hide, acting like an underwater nursery. Flounder, shellfish, and crabs all use eelgrass at some point in their lives. Without these beds, that sea life would be reduced or even disappear. Unfortunately, eelgrass beds are under threat around the world. According to the National Oceanographic and Atmospheric Association (NOAA), 65% of U.S. estuaries and coastal waters are damaged, and those threats come from a variety of sources: boat propellers can grind up the bottom; dredging for shellfish uses toothed rakes and tears up the beds. But the most important threat comes from a process called eutrophication. Eutrophication is caused by a variety of activities, but the biggest contributors are excess amounts of phosphorus and nitrogen working their way into the water. Burning fossil fuels creates phosphorus in the atmosphere, which eventually is deposited into water systems. In addition, farms and homes at the water’s edge that use fertilizers contribute to increased nitrogen levels when rain washes excess fertilizers into coastal waters. The same fertilizers that encourage plant growth on land can wreak havoc with algae growth in the water. Dense mats of algae called algal blooms can form, blocking vital sunlight from reaching the eelgrass beds. Once the algae spreads, it also begins to die off. Algae decay consumes most, if not all the oxygen in the water, creating a dead zone called hypoxia. At that point, the eelgrass bed dies and the aquatic life that relies on those beds go with it. Plus, the mud that is no longer held in place by the rhizomes would become suspended in the water, making it difficult for the plant to reestablish itself. NOAA also says that eutrophication can cause ocean acidification. That means fish and shellfish growth slows down, reducing the catch of commercial and recreational fisheries. While the issue of eelgrass bed destruction is concerning, efforts are being made to curb the flow of nutrients into the water using purification systems and buffers between farms and the water. Drone photography allows scientists to map areas where these meadows grow to measure their increase or decrease, and to better recognize which areas need protection. Recent experiments in Connecticut have shown that oyster aquaculture may also play a part in nutrient reduction. One study showed that the natural process of filtration feeding that takes place in oysters may remove as many nutrients as comparable wastewater improvements costing hundreds of millions of dollars. This blog article was originally posted as Who cares about eelgrass? Zostera marina at Untamed Science.